SEATTLE, WA – Eighth Generation, the first Native-owned company to offer wool blankets, is honored to introduce John Isaiah Pepion (Blackfeet Nation) as the newest Inspired Natives Project collaborator! John will join 5 other artists in the project, through which Eighth Generation mentors artists as they transition from a gallery based business model to an entrepreneurship model. 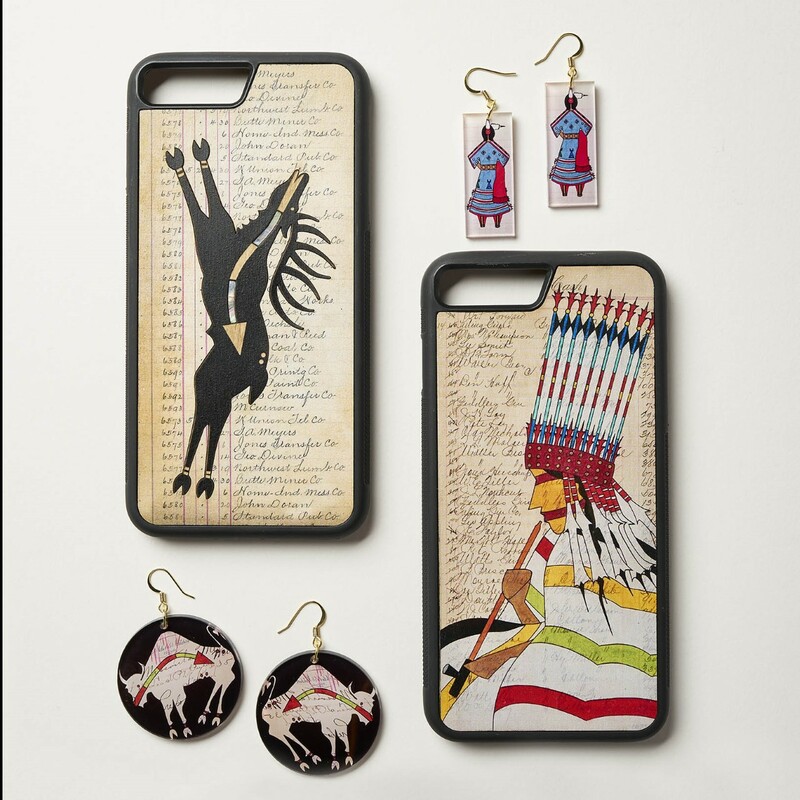 “While John’s vibrant, contemporary ledger art will look stunning and unique on our products (see photos), we are equally excited about supporting John’s arts entrepreneurship goals,” says Eighth Generation founder Louie Gong (Nooksack). 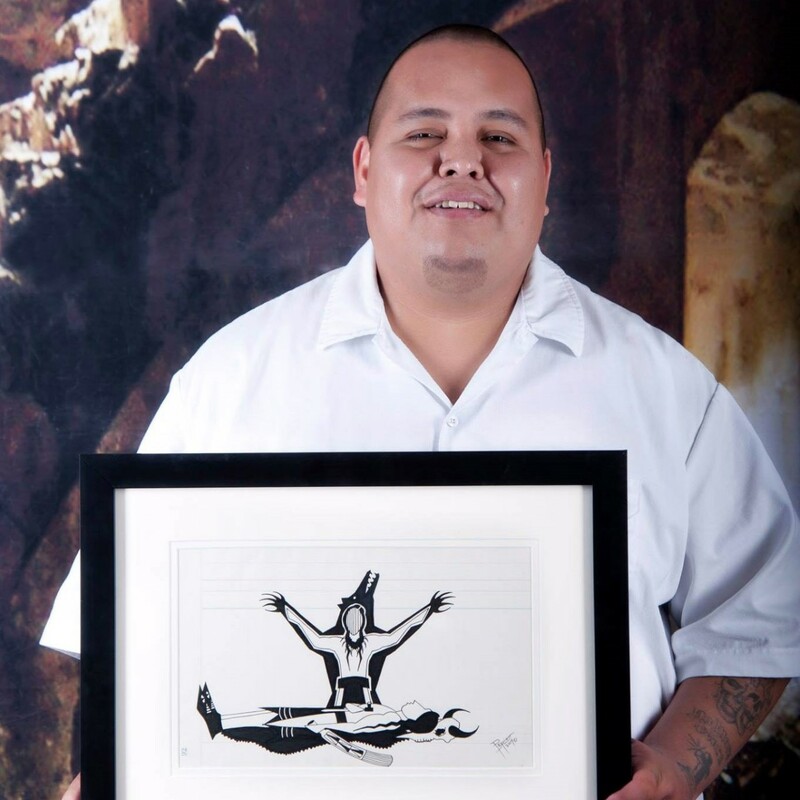 John is a Plains Indian Graphic artist from the Piikani Band of the Blackfoot Confederacy, and is based out of the Blackfeet reservation in north-central Montana. He is best known for his ledger art, a tradition that developed in Plains tribes as the buffalo hide they traditionally used for painting became scarce, and they were forced to adapt to making artwork on the ledger paper from accounting books. John comes from a family of artists, and pictographic art is a tradition that has been in his family for hundreds of years. Though he has been making art his whole life, John says he never conceived of himself as an artist until he was injured in a car accident. “While recovering, I started drawing on ledger paper to pass the time,” John said. Many years later, John uses his artwork to find personal healing as well as cultural preservation, and frequently speaks with youth about the therapeutic nature of art. In addition to the artists in his family, John names George Flett (Spokane) as his major influence, a renowned ledger artist who is known for helping to revive ledger art and gave John his blessing to keep pursuing the art form when they met. 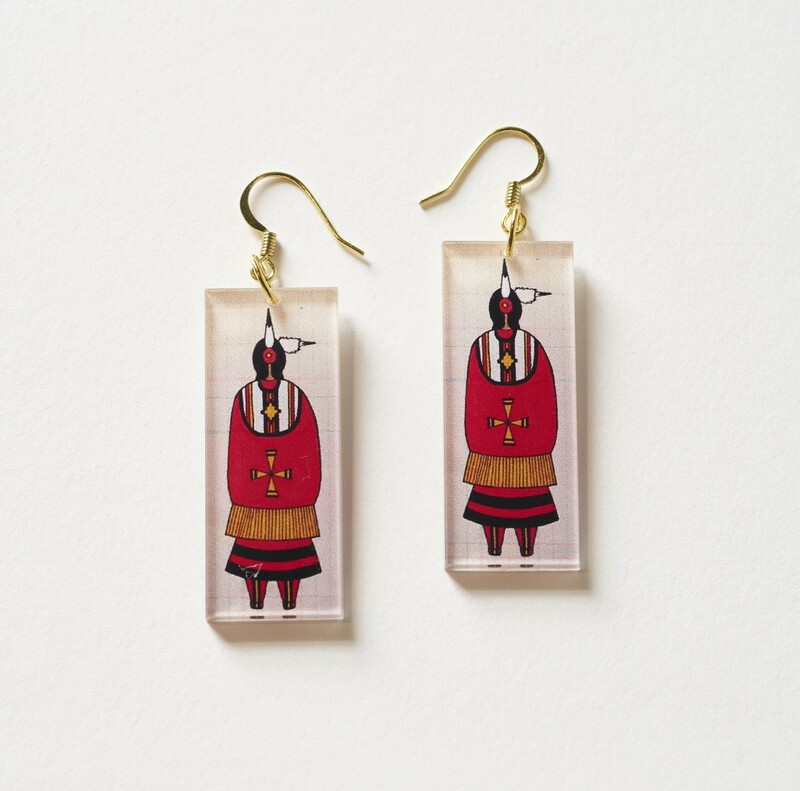 He also notes his contemporaries, ledger artists Donald Montileaux (Oglala Lakota), and Terrance Guardipee (Blackfeet) as inspiration, as well as painters Oscar Howe (Yanktonai Dakota) and Jerome Tiger. Since signing with the Inspired Natives Project a few weeks ago, John has already worked closely with Louie to create a business entity, logo and eCommerce website stocked with products he developed collaboratively with the broader Eighth Generation team. John seems to be a perfect fit. He says, “No matter what I learn, I will always give back to my community. This will boost my ability to do that.” John plans on giving his first wool blanket to his mother, who has a proud collection of his work. This entry was posted in Native Owned Businesses and tagged 8th Generation, John Pepion, Louie Gong, LRInspire, Seattle by lrinspire. Bookmark the permalink. Congratulations to John, whose works I have seen over the years. Congratulations to all involved in this Native-owned business!